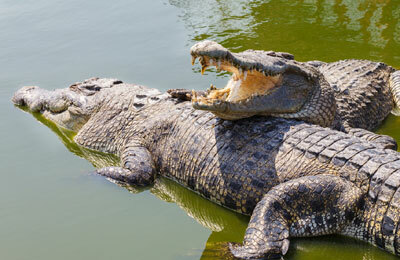 The Dubai Municipality is planning to establish a sophisticated crocodile park in the emirate, a senior official said. Eng Abdulla Rafia, assistant director general of Dubai Municipality, was quoted by Wam news agency as saying the civic body has assigned a team from the investment section of assets management department to study the best practices in establishing specially designed parks for crocodiles in France, Tunisia and Belgium. "The municipality seeks to build a new world tourist attraction in the emirate of Dubai through the partnership with the foreign investors to establish the crocodile park project in the event of positive results of the study," Khalifa said. Khalifa Abdullah Hareb, director of assets management department said the proposed project will be first of its kind in the Middle East.